When first introduced four decades ago, bar codes helped warehouses, retail shops, and grocery stores to scan their products quicker and keep better track of inventory. A look at the bar code as it observes its 40th anniversary this week — June 26, 2014 — reveals new innovations that VARs can leverage to provide business solutions for customers. Bar codes of today are far different than the original Universal Product Code (UPC) symbol — a 12-character numeric code that contained information about a particular product, such as what it was and how much it cost. The 1990s witnessed the introduction of the 2D QR code. 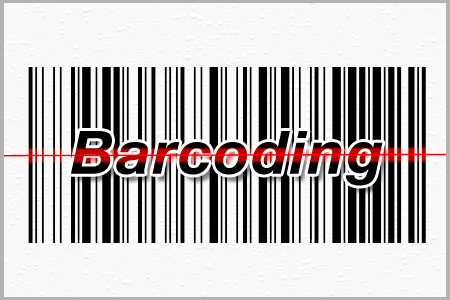 Unlike the UPC code, 2D encoded thousands of characters and allowed for more information to be included in the bar code itself. Other applications of bar code technology include law enforcement officials using driver’s license bar code readers as grayscale image capture devices, allowing officers to take pictures or to digitize ink-on-paper fingerprints. Bar code technology is also used in agriculture for tracking and traceability of food and to keep warranty history records of home appliance repairs. Reading a bar code and retrieving information is no longer just a part of a work setting. Digital smartphone technology allows phones to be used as basic bar code imagers. Using a smartphone, users can scan QR codes and gain almost instantaneous access to a company’s website. QRs also provide product information — and increase the chances that the consumer will buy. Other uses of smartphone utilization of bar code technology is seen in the use of shopping apps and the ability to present electronic coupons. It even allows others to scan the phone for easy storage of event tickets and boarding passes. Bar code technology will continue to evolve into the future, and who knows what new uses organizations will find for this versatile technology. Something that started out as a few lines and numbers on a paper has grown into a boon for many different industries. VARs will undoubtedly continue to see opportunities related to this technology.